100 miles of Oil and Natural gas pipelines. 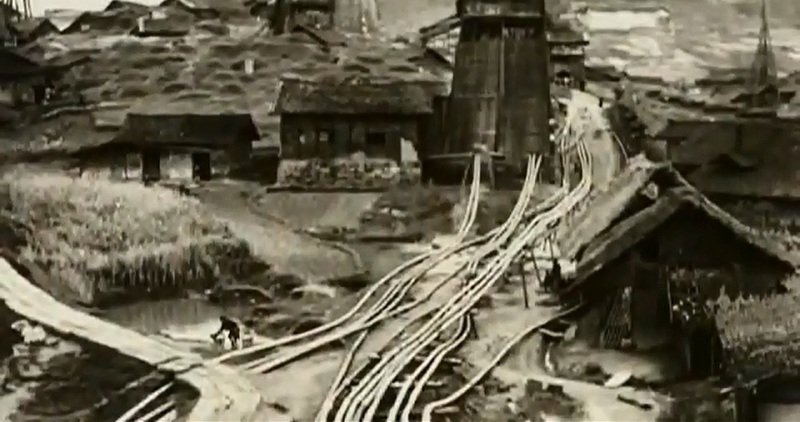 The Natural gas and oil were contained above ground level and then distributed through an elaborate system of pipes. These pipes carried the lifeblood of the modern energy system industry not today but in ancient times, and this ultimate energy and power source was extracted at minimum 2000 years ago. The ancients had perfected the art of oil drilling 2000 years ago. We incorrectly assume that it was modern engineers that pioneered deep drilling technology. Incredibly the supplies of oil and natural gas were actually reinvented from Chinese machines from 2000 years ago.